This Category contains 58 items. Can't find it, then use the Page. We are happy to take your Credit or Debit Card orders over the phone, you can phone us from the U.K. by calling 01202 391666. If you live in any of the following countries then EMAIL us your phone number, and we will call YOU to discuss your orders/enquiries! Please note Mobile Phones are excluded! You can now also order direct from the site, by clicking the "ADD TO BASKET" buttons, and make your payment using PayPal. FOR MORE INFO DON'T FORGET TO "CLICK" THIS &AMP; OTHER BOXES AT THE TOP OF THIS PAGE! SIXTEEN THUMB TIE GEMS BY MAX ANDREWS- 60 PAGES PUBLISHED BY MAX HOLDEN. FLASH PAPER TIPS (BOOK) BY STUART ROBSON AND RALPH W. READ. TARBELL COURSE IN MAGIC SENT SPECIAL DELIVERY IN THE U.K.
We are happy to take your Credit or Debit Card orders over the phone, you can phone us for FREE from the U.K. by calling our FREEPHONE number which is 0800 118 26 55. If you live in any of the following countries then EMAIL us your phone number, and we will call YOU to discuss your orders/enquiries! 182 pages and fully illustrated. Another batch of kids effects for the taking. ALL HAVE BEEN TESTED BY LEADING CHILDREN'S ENTERTAINERS. Material is suitable for all age groups. An absolute goldmine of information! 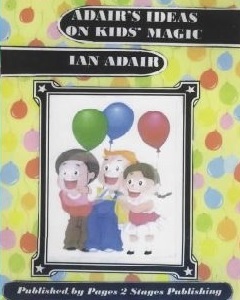 Ian has not only originated each item in the book, but has also constructed models, which he then introduced into his children's magic shows. Quite a lot of the published items have been exclusive to Ian, now they are yours to practice and slot into your shows! The book has been highly praised by many of the leading children's entertainers. Get your copy now before they become out of print. 204 pages fully illustrated. 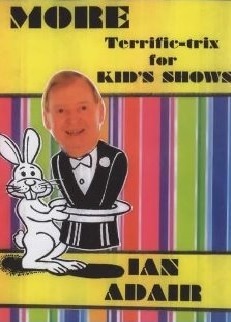 Containing sixty fantastic creations for kids shows, by supreme kids entertainer Ian Adair. All tried and tested for children of all ages. Plus the Guaranteed Money Spinner System to bring in extra financial benefits. All effects are 100% practical & EASY TO DO. The foreword is by Terry Herbert. Plus Scores more, all suitable for performing in Halls, Living Rooms, Garden Parties etc. A real mix of tried and tested effects. Get yours now! 192 pages and fully illustrated. Approximately sixty further effects and routines designed for children's entertainment from the fertile mind that is Ian Adair! In addition to the tricks and routines themselves are valuable tips, hints and advice. A real mixture of super kids effects featuring tricks with silks, paint books, lolly pops, wizards hat, wands, road safety, and so much more! This is Ian's sequel to his previous publication called Terrific Tricks For Kids. Ian featured a few of these items on his T.V. series MAGIC, these are being published for the first time in this great book. features: Clearly written explanations, with an abundance of illustrations making it very easy to follow. This is a BIG book containing SUPERB material for the children's entertainer. Get yours now, while stocks last! Open for Walk In Customers! & Mail Order! 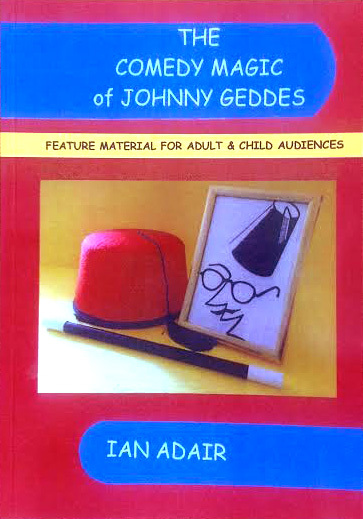 Johnny Geddes was Britain's leading comedy magician, and even had his own TV series! He had numerous effects marketed, and some 2000 articles published in leading magic magazines. 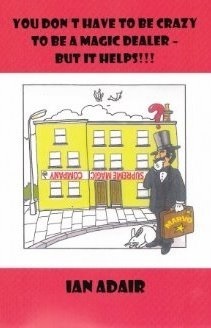 In this book, you'll find the best of Johnny's comedy tricks, complete routines, gags with gimmicks, bits of business, comedy props, and patter lines. There are over 60 different bits and pieces here! Paperback. 180 pages. Profusely illustrated. Click the MAGIC LINKS button at the top of the page, for help in getting the video links to play. A very funny book by Ian Adair. Written in his own highly entertaining style. Ian remembers those quirky situations at the famous Supreme Magic Company, which although frowned upon at the time, seem crazy and funny now. Including outrageous incidents at the magic depot, or the times when the firm was working behind dealer stands at hundreds of magic conventions around the world. There was one occasion when staff arriving for work one morning noticed that the letter P was missing from the S.U.P.R.E.M.E. sign, it turned out that a bunch of lads were returning home from a night out, when one was reported as saying I NEED A PEE! one of the other lads climbed up & removed the P and gave it to him. The book covers all aspects of the fun and games of running a magic business & dealing with the public. There are also sections, covering crazy situations concerning the manufacturing, publishing, and just general incidents when things didn't quite go to plan. A highly entertaining read that once you start, many will find difficult to put down! 152 pages and fully illustrated. Over forty brand new trick ideas for children's shows, as well as complete routines & easy to make effects. The material in this book is completely different to that in his other books. Content includes: Routines featuring rainbows, clowns, hot dogs, and lots of other themes which the children will immediately relate to. The book contains a superb selection of tricks and routines, a real mix of commercial ideas, practical material for ALL age groups. Patter lines comes suggested to accompany many of these original effects. And far to many others to mention! Nine of the effects have been marketed by leading dealers, these you can now make up yourself! Treat yourself to this really great book, so full of exciting effects to put straight into YOUR next Children's show! BACK IN STOCK! The contents are a compilation of different practical methods of Levitation or Floating created and performed by magicians of repute around the world. The author, in this soft cover large size 18 pages tape bound book, illustrated by Soumya Deb has collected the secrets of different ways of performing what is possibly the most mystifying magic illusion of all times. The book includes Indian Levitation, Floating a Girl, Mystery of Lhasa, Aga, Sword Aerial, Bed of Arrows, Fan Illusion, Walking on Swords, Flying Carpet, One Man Levitation, Chair Suspension, Bamboo Aerial, Trilby Couch, Goldston Aga, Night Club Levitation, Another Asrah, Asrah, Kellar's Asrah. This is not a book of illusion blue prints and is certainly not intended to be a complete source for the Levitation Secrets. As the title suggests, it is a book of 'secrets', illustrating how each Levitation is performed. The intelligent performer will find the information sufficient to construct some, if not all of these items from the information provided, adapting the details and measurements to his requirements. For the others, ''Levitation secret'' will give a reasonable idea of what is involved, so you could get a more complete blue print or additional details to make the item. A good and informative book for anyone interested in large illusion magic. The Story of a Conjuror and Costumer with a foreword by Jim Steinmeyer In the 1970�s and 1980�s George Goebel presented a grand, classical magic production called the Goebel Magical Revue. With a cast and staff of 35, he astonished lay audiences and received accolades from fellow magicians. Those shows wowed both Jim Steinmeyer and Lance Burton, each of whom contributed to this book. Goebel�s life and career in Baltimore, Maryland, brought him into contact with countless magicians, including Milbourne Christopher, Hen Fetsch, Doug Henning, and Phil Thomas. His knowledge of Howard Thurston, Thomas Chew Worthington III, Henry Ridgley Evans, and magicians around the country is extensive. His A. T. Jones Costume Company has 300,000 costumes for musicals, plays, and operas. It�s housed in a three-story building, which also serves as a haven for some very unusual friends. 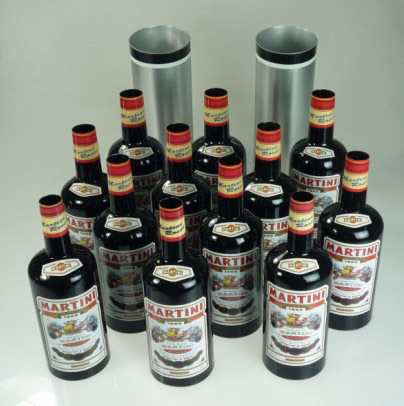 Goebel�s private collection of magic and escape restraints is exceptional. Goebel tells how he gained experience working with Milbourne Christopher on the Jackie Gleason and Garry Moore shows�assisting with the Vanishing Elephant plus rehearsals for Christopher�s Bullet Catch. His remembrance of the Baltimore eccentric magician Dantini is illuminating and touching. Read about Goebel�s escape work in Japan, Baltimore magic history, and his detailed account of building and presenting a full evening magic show that included a 10-member dance ensemble under the leadership of a former Radio City Music Hall Rockette. 8 � by 11 - Cloth Bound - Color Dust Jacket - Over 200 Pages - Over 380 Photos and Illustrations Including 12 Color Pages - A DVD containing segments of a 1982 Goebel show, film clips, and news interviews plus views inside the Jones Costume Co, is also included. Please add us to your "Favourites"
& check regularly, as we are always adding new items, also please check our NEWS PAGE. Biography & Autobiography - 247 pages Hard Back with many colour photos. A behind-the-scenes look at the personal and professional lives of the magical duo known for their performances featuring exotic cats, describes the childhoods of the two men, their alcohol- and drug-fueled rise to fame, and the tiger attack that ended their fort. This is the amazing book that describes the high's and low's in the lives of Siegfried and Roy. This is one of the most inspirational books you will ever read! & is very heartwarming, if you can dream it, you can make it happen! It shows to others that dreams can come true if you just hold on to your beliefs. The road to fame and fortune was indeed a very hard and long road for these really special people. They show over and over again that not compromising your values does pay off! This book is comprised of modern ideas for modern magicians. Contains lots of comedy for any age group with new patter and routines with apparatus which you may already own. Entertaining kiddies is generally known to be one of the most lucrative branches of magic - and this contains plenty of kid stuff. Also includes Gospel Lessons, Mental Effects, Escape Ideas. Everything with a novel setting for some of our most popular standard effects: The Milk Pitcher, Egg Bag, Dove Pan, Bang Gun and more! A great book containing 10 individual tricks using magician's wax. Great compliment to any close-up routine. Ron Frost is a seasoned performer, but he is also an inventor, writer, and lecturer of Magic as well. This new booklet is a compilation of some of his favorite effects from his lecture utilizing wax. Unfortunately, many magicians overlook the many applications of wax in magic. It is probably the most useful of all the accessories that are available to magicians. This new booklet makes an exciting contribution toward exploring the endless possibilities using wax in magic. This is one of the most concise books on how to be a ventriloquist. It is a step-by-step training program that gets the beginner started right. 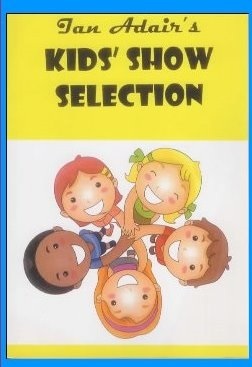 Includes how to perform the different voices, sound effects, animal imitations, etc. Lots of advice on presentation, creating your character and choosing the proper dialogue material. Paul makes ventriloquism fun and exciting to learn. This book is a must for anyone interested in this unique art form. Large format 8 1/2" x 11" book. 86 pages. Self-published by the famous ventriloquist Paul Stadelman. In 1939 Windy (his dummy) made headlines by filing and entered the race for the Governor of Kentucky. (He won 143 votes!) The booklet is printed on glossy stock and contains chapters on every aspect of ventriloquism as well as reprints of news articles about Windy and the famous politial campaign. The Dummy Talks & Sings. 40 powerful yet subtle card and mentalism effects from the master himself, Ted Annemann. This well illustrated vintage book is perhaps the best source of thumb tie methods ever published! THIS IS A CLASSIC! "10 out of 10...buy this and buy this now. You won't regret it." Online Visions. unusual plots, simple methods, great ideas - why aren't you ordering this book right now?" Magicseen. "Buy this book! Highly recommended." Genii Online. "An astounding collection" Gary Jones, Magicbunny & The Magic Cafe. "Buy it. He's got some great ideas." Tim Trono, creator of Branded. "[The effects] are all practical and easy to handle...a breath of fresh air" Peter Duffie, MAGIC. "I rarely get so much inspiration from one book" Andi Gladwin. "Excellently written...very well-produced...each time [I flick through] I find something, which becomes my new favourite...For less than the price of a one trick DVD this really is an excellent purchase. Highly recommended!" Magicweek. Magicians experience a torrent of new methods but just a trickle of new plots. It's time for a change. And the change starts here! Invisible Man: Convince a spectator that they've vanished. Flaming Voodoo: A spectator stares at a piece of paper he is holding and it bursts into flames. Touching Transposition: Forget sight, fool their sense of touch. X-ray Coin: A spectator swallows an initialed coin and it appears on an X-ray of their stomach. Secret Service Load: Divine the serial number of a bill in the spectator's wallet without ever going near it. Plus 17 more impossibilities. Some you'll perform every night. Others you'll save for special occasions. All you'll enjoy learning as much as performing. The book alone is worth the price of the book! 87 large format pages. 86 photo illustrations. Perfect bound with a glossy cover. This is a breath of fresh air, even Paul Harris would be proud of some of the plots!!! One of Jay's "earliest" sets of lecture notes. The Tragicomic Keys-two keys change places in a series of startling moments! The Price of Admission-an astonishing torn & restored movie ticket. A real magician fooler! Sugarless Gum-a gum wrapper comes to life and wraps itself around a chewed lump of chewing gum! A Match By Any Other Name-an offbeat routine with a book of matches and a burnt matches! The companion volume to 'Levitation Secrets' and in a similar format. The author, in this soft cover large size 24 page tape bound book, profusely illustrated by Soumya Deb has compiled the secrets of over a dozen ways of performing another of the most famous magic illusions. Contents include 'Sawing A woman In Halves' (Selbit's method, and two Horace Goldin methods), Abbott's method (using circular saw and a plank), Vertical Sawing Illusion plus an improved method suggested by the author, Miss Boots - another vertical sawing by Ovette, One Man Sawing illusion, Sawing Illusion (Abbott's method), Thin Model Sawing (two versions), Buzz Saw Illusion, Super Magician's Self Sawing (as performed by David Copperfield), Homicide Illusion and the Torrini's method of Sawing A Woman In Halves. This is not a book of illusion blue prints and is certainly not intended to be a complete source for the sawing illusions. Most magicians will find this an excellent source for knowing different methods and their pros and cons before selecting one for their use. The intelligent performer will find the information provided sufficient to make or get made any of these illusions. A recommended book for anyone interested in large illusion magic. You stand in the middle of a room. Without any cover, totally away from any objects, your body completely levitates 4 - 5 inches off the ground, putting you heads above the competition! Before a major event (football game, election, etc), you offer to make a prediction to one of your friends. However in the interest of security, you don't want to hold on to the prediction yourself, nor do you want your friend to. You offer to mail the prediction in the form of a letter to your spectator's house, using the US Postal Service. In this way, it would be a felony to tamper with it! You write the prediction, put it in an envelope, address it, put a stamp on it, and hand it to your friend. You then invite him to put the letter in any mailbox in town. The following day (or whenever the letter happens to arrive), alone at home, your friend's brain will slowly disassemble itself and finally shut down, trying to figure out how you knew. YES. It's as clean and straight-forward as it sounds. There's absolutely nothing misleading in this description. Get ready to be talked about, this is a reputation maker. In envelopes, pockets, folded billets, and boxes, written predictions have become a standard theme in magic. Its easy to see why. The ability to predict the future is something central to being human. In fact, some consider it the most important measure of intelligence. The ability to be prepared for future events is a critical survival skill. Even in our day to day lives, weathermen, stock analysts, marketers, politicians, lawyers, and hundreds of other occupations are focused around the outcome of future events. Predicting the future is a theme everyone can relate to and see the value of. The focus of any prediction effect inevitably comes down to its integrity. When a television escape artist puts on chains, traditionally he will have a privately hired member of the local police force examine them to make sure the handcuffs he is using are legitimate. In this way, a 3rd party has vouched to the audience for the effect's integrity. There are a couple of drawbacks to this when performing casually for friends. First, most of us are not under 24 hour police surveillance. This makes contracting a member of local law enforcement impractical. And second, even when a privately or even "randomly" selected police officer is chosen from an audience during a stage show, their legitimacy is still in question. Are they really a police officer or an actor who is part of the show? Each time a question like this is asked, it chips away precious credibility from the performance. In a written prediction effect (particularly between a mentalist and a single individual), there is a dilemma of who to entrust with the prediction until the time of revelation. If the mentalist holds onto it, the details could be discretely changed (as they often are), compromising the integrity of the prediction. If the spectator holds onto it, they could read it and possibly change the outcome, also compromising the original prediction. Ideally we would have an escrow style trusted 3rd-party agent who could hang on to the prediction for us until after the predicted event. There would also be severe penalties for either side to tamper with the prediction. The solution I propose in Postmentalism is to use the US Postal Service to mail a prediction to your friend's home. Anticipation is a huge part of pleasure. It's what makes Christmas mornings, 16th birthdays and Fridays so much juicier. In Postmentalism, your spectator will be looking forward to receiving this mysterious prediction from you for at least a day or two, listening for the mailman and anticipating what it could be. I touched on this concept in my effect "Mix Tape". Regardless of whether you're performing on stage or walk-around, it's impossible to get a truly honest reaction from someone as long as you're watching them. By sending the prediction to their home, your spectator is somewhere they feel safe, comfortable, relaxed and most importantly, alone, to react completely genuinely to your performance. It's obviously a different kind of performance where you don't get to see a "freak-out" moment, but one that hits hard and will be remembered forever regardless. In many tricks, the spectator is left with some scrap of signed card that the magician gives to them (usually to avoid having to walk it over to the waste basket) with the belief that they will cherish it and remember them fondly forever. The problem is that usually it's a meaningless shred of a performance. In Postmentalism, the spectator receives an envelope, addressed and mailed to them, delivered to their door the old fashioned way (which is only getting more memorable as email takes over), that they personally put in the mail. This envelope contains a full recount of what happened during the performance and any time they look back at it they will be able to relive the moment. As far as middlemen go, it doesn't get much better than the USPS. It's actually a felony to tamper with the mail. Assuming both you and your spectator are performing outside the walls of a prison, this should be more than enough to convince them that no one has changed the prediction. Q: Will Postmentalism work with foreign postal services? A: Yes! In fact, not only will it work in different countries, it even works when you're mailing from one country to another! For almost 50 years, Irving Desfor has captured the history of magic with his camera. His photos are the best! Here is your chance to catch a glimpse of moments in magic that are gone forever, except in the memories of a few! See Dai Vernon perform the fabled Harlequin Act, watch Okito at the very moment he produces a huge bowl of water from nowhere. The list of photos is staggering. All beautifully produced in rich black and white (some color). Each photo is accompanied by explanatory text. A beautiful book. One you will treasure forever. With over 150 magicians captured in this book including: Dai Vernon, Carl Ballantine, Blackstone jr., Blackstone sr., Baker, Bobo, Calvert, Harbin, Hardeen, Henning, Horowitz, Wilson, Roy, Slydini, Kaps, Tarbell, McComb, Dunninger, Dante, Flosso, Fox, LeRoy, Scarne, Shimada, Pat Page,Alan Alan and many many more! A very interesting & beautiful book! By Ralph Wichmann. This is a most unusual book! there is nothing else like it in print! It is an authoritative work on Floating Routines for table and stage utilizing our old friend INVISIBLE THREAD. The table of contents includes chapters entitled: Basic Facts Relating to Effect, Guide to Floatation -Using Thread and Balls, and Routines Using Thread Link Ups. The author gives routines for both One Point Thread and Two Point Thread. A must for those who want the real dope on the use of thread in magic.Soft Bound 82 pages. Many of these routines have been included in PRIZEWINNING performances! By Merlyn T. Shute. If you own a Chop Cup, don't pass this book by! No matter what style of cup you have or routine you are now using, this book will give you new ideas, moves, and techniques. Many different kinds of loads are discussed as well as history, paraphernalia and routining. Plastic spiral bound for easy reference while you are practicing. 32 pages. The Reel is a prop that should be in every magician's possession, and can be purchased at your favorite magic shop. Reel Magic is a book that gives you a myriad of routines using the Reel. Cards will rise, silks will come to life, small items will vanish, all under your control. This booklet contains material by Corinda and Ralph W. Read. Corinda's mentalism is "clean" and requires no complicated props. The ideas in this 46 page book can make you a master mentalist. If you thought the orginal two book version of Flashback was great, wait until you see the ultimate version! Included are four new and examinable paperback novels. Plus a copy of an unprepared Webster's Dictionary. And a fifth paperback designed exclusively to perform the "Hoy Book Test" without having to miscall the selected page number. *A spectator selects and concentrates on the first word on any page in any of the five paperbacks provided. Instantly the performer can reveal the word the spectator is thinking of. *The spectator can point to any word in a paragraph on the page selected and you can proceed to discern it! *The spectator concentrates on a name elsewhere on the page and you can immediately reveal it. *The spectator merely thinks of a word on the next line and you've predicted its location in an unprepared dictionary! *You and the spectator freely select identical words in each others book! *Three spectators each think of a word in their freely selected book and you instantly reveal all three words. *Plus, the greatest version ever of the Hoy Book Test, without having to miscall the selected page, in addition, you reveal the spectator's thoughts; a full paragraph, not just a single word! Naturally you wouldn't do all of the above effects in a single performance, but you could. And there's more! Those of you who own the original "Flashback" will appreciate the fact that the word selected in the new Ultimate Flashback books consists of five letters or more. No sweating over the discernment of a two or three letter word. "Ultimate Flashback" is so easy to perform you can just concentrate 100% of your efforts on the presentation. Without question, there's no finer word and book test anywhere. Whether you are a full time professional magician or a magic hobbyist, this book promises you some fascinating reading! Contained in this volume are interviews with 18 of the best magicians in the world! including Siegfried & Roy, Lance Burton, Harry Blackstone JR. Hear their stories, marvel at their pet peeves, listen to their advice, and learn from their ideas. If you use even five ideas from each performer, you will have 90 powerful pieces of information that you can use to achieve the financial & commercial success you desire! A total of 740 years of magic experience contained in this book! What do some of the worlds most famous magicians know that YOU don't? FIND OUT NOW IN THIS INCREDIBLE BOOK! Hard Backed full colour dust jacket 271 pages of magical wisdom & ENLIGHTENMENT! This is a beautiful book, & would be very useful to anyone starting out as a magician. To know some of how the worlds greatest magicians think, is quite fascinating to even a seasoned professional. We have limited stock on this item, so order NOW! Over 80 ideas, routines and variations with Floating Balls, boxes, bulbs, balloons, eggs, hands, horns and even water fountains, among other things. Roy Fromer has chosen to "now think" and update the Miracle Ball for the benefit of beginner and expert. We know that all will find instructive material herein. The 36 pages are jammed with information. From the pages of Tops Magazine comes this comprehensive selection of the best in tricks and illusions with doves. Includes plans for building many unique illusions such as Golden Spike Cabinet Illusion, The Cage of Fiji, and New Master Dove Vanish. Many other routines and apparatus are described that audiences will love to see. 28 pages. Includes a wide variety of methods for producing and vanishing ultrasilks, dyeing silks, 20th century silk trick, 23 tricks with silks, knots and flourishes, usefull accessories, sleights, etc. The silk enthusiast should certainly have this book and learn the large variety of beautiful effects possible with ULTRASILKS. 83 pages, illustrated. Tricks and gags with flash paper are becoming more and more popular. Once you have used flash paper or flash bills in a trick you will understand why. The unexpected flash of flame, not matter how it is used, adds a dramatic touch or "punch" to any trick or gag. In this revised book you have 56 pages of flash paper tips. We hear a lot about the gospel of success, whether from Christian or New Age sources. But most of us are more accustomed to failure, or at least not reaching our hopes. Which, surely, is at the heart of the life of Jesus and his message. This book is a radical departure from much of what modern day Christianity (and gurus of all kinds) seem to offer. Rather than seeing Christianity as a group of people trying to change themselves into the "ideal", it describes how such a practice is precisely what Jesus came to liberate us from. It brings a sense of freedom and hope to all those who feel unworthy of just "can't make the grade. The author, a clergyman, writes with brutal honesty, letting readers into the secret areas of his life, with all its faults and failings. The lessons are authentic, learnt by someone who knows how harsh life can be, and yet also how magic life can become. It connects with readers at a deep level. But not only does the message of clergy frailty come through, another truth hits home - that these very cracks and faults can potentially be the place where the most beautiful spiritual gold is discovered. It is not in "climbing the ladder of perfection" that we meet God, but in falling from it. The author Mark is a magician and priest. THE ULTIMATE STREET MAGIC EFFECT! Two of the World's Foremost 'Cloudbusters' Reveal Their Inner Secrets of Cloud Magic! In this book the authors strip away the veil of secrecy, revealing cloud secrets only known to a select few. Learn to make clouds vanish and appear. Sculpture them into images of selected playing cards, thought of numbers, ESP symbols, faces, and even animals. Nothing is held back! Apparently change the weather by delaying rain or snow or even by making it warmer. Believe it or not you can do a lot of this long distance by using a cell phone! With the material in this book you will be more than just a magician or mentalist. You will be a real miracle worker, who apparently has complete control over the elements! CAUSE A CLOUD TO VANISH FROM THE SKY. It will also show you methods where that cloud and ONLY that cloud vanishes. The others remain intact. CLOUD MATERIALIZATION --magician points to an empty space in the sky and causes a cloud to suddenly form. All THIS AND MUCH, MUCH MORE!!! In addition this book contains one of the most detailed sections every written on how to approach people on the street. Even if you never vanish a cloud, you will find the section on approaching perfect strangers on the street invaluable regardless of the street magic you do. Lots of people sell street effects, but few actually tell you the proper way to get an audience. "At the right time, in the right place...get ready for something people will tell their grandchildren about witnessing." "The authors have examined every nuance of cloud effects and give totally practical advice for pulling them off. In addition to the actual methodology, they give you a ton of related material from which to draw upon. This is information you will want to have and which could make a reputation for you. Get this!" A soft cover, A-4 size 36 pages book, illustrated with 30 plus line drawings by the author himself. Ventriloquism is a "Magical" performing art with many advantages. The Act appeals to audiences of all types and ages. Even adults who do not normally attend magic shows can be entertained with a suitable Ventriloquist's act. The total monetary investment is much less than in a Magic Show. There is no problem involved in transport as the complete 'act' can be carried around in a suitcase. In this systematic course in ventriloquism, Someeran, one of India's foremost contemporary Ventriloquists has covered in 13 chapters every aspect of the Art. Beginning with the History and the Psychology of Ventriloquism, What to practice and study, Breathing exercises, Developing the Second Voice, and Lip control, The Ventriloquist's doll, Trick effects, Ventriloquial novelties, Using the Microphone, Do's and Don'ts to writing Dialogues, and Publicity and Advertising. Like any other art, Ventriloquism requires diligence, perseverance, and strong determination to master it. This book contains the author's 30 years of performing and teaching experience, hence anyone with the sincere desire and effort can learn the art by following this complete course in ventriloquism. The 17 year old author describes eleven knock out effects, with a variety for all tastes, covering both close-up effects and stage conjuring.. Some of the routines are mind boggling, like the 'Nu Way Coin Across' where pictures of coins on playing cards assemble one at a time, then turn to real coins! Or the 'Chopped Card Through Table, where torn quarters of a playing card go though the table singly, then change completely to finish with a punch climax! There are more routines with cards, coins, newspaper, currency notes etc. All visual magic that requires no special preparation or skill beyond the capabilities of most average magicians. The routines are of course far above average. The performer borrows a bill of any denomination and has it signed. The bill instantly vanishes from your fingertips. A cigar is borrowed and ripped in half. A bill is taken out and unrolled, revealing their signed bill! Greg has packed all of this into a neat book of 106 pages with a full-color cover. Designed and typeset by the Wizard of Odd himself with illustrations by Mrs.Odd (first name: Pretty), and published by SPS Publications. Wax is one of the magician's greatest secret gimmicks and this is the first booklet ever written on the subject. It was originally released in 1953 by Ted Collins and Ed Mishell and has not been readily available for more than 20 years. Subjects and routines covered: Hit The Ceiling, Personal Magnetism, Rising Cards, Perfect Silk Ball, Dice or Lump Sugar Move, Balancing Coins, Tricky Tip, Think A Card, It's A Pip, Magazine Test, Hat on the Wall, Double Face or Double Back, Stab A Card, Miser's Dream, Selected Card In Pocket, Changing a Dime to a Half Dollar, Coin Catching, Wax as a Servante, Card Location Behind The Back, Coins From The Shoes, Center Tear, The Vanishing Card, Card From Pocket, Vanishing Coin in Handkerchief, Cut and Restored String, Second Dealing, Rising Coin in Glass, Impromptu Paddles, Sealed Predictions, Producing a Cigarette from a Card, Floating Match, Torn and Restored Cigarette Paper, Coin Vanish from the Hand, No Change, Impromptu Coin Tray and more. A 20-page soft-cover booklet written by Ted Collins and illustrated by Ed Mishell with a foreword by Audley V. Walsh. A coloring book is shown to have all blank pages. Suddenly, with a wave of the magicians hand, pictures of clowns appear in the book, outlined in black. With audience participation, the magician takes the trick one step further. He colors the pictures - by magic. Now bright, vibrant colors have filled in the black and white pictures! For a fitting finale, all the pages change back to their original state - blank! The Royal Magic Clown Coloring book is the finest on the market. Changes from blank pages to outlined pages to colored drawings are made with the greatest of ease. If you can flip through a book, you can perform this astonishing trick! 13 Steps to Mentalism has become the standard by which all other mentalism books have been judged. In thirteen chapters, it details the workings of nearly every catetory and device useful to the working mentalist. Nail writers, predictions, card tricks, blindfold tricks, muscle reading, billets, publicity stunts, patter and presentation and more are covered within its pages. At only seventeen years old, Joshua Jay has authored a collection of over fifty explosive effects! Joshua Jay's Magic Atlas is a map guiding you through the uncharted territory on the philosophy of magic, as well as six adventurous chapters filled with creative magic using: cards, coins, rope, silks, pens, matches, shirts, finger rings, sand, Band-Aids, a remote control, a paintbrush, and much, much more! This hardbound book is a must for any performer! This landmark work has finally been fully and dramatically captured in multi-faceted, multi-mediated form by Jon Racherbaumer, and L & L Publishing is proud to offer a vital masterwork written the way magic books should be written. momentum, interrogation strategy, and much more . . .
"With this book, whole new generations of magicians will not only discover who originated so much of what they take for granted, but also will have the opportunity to study some of the most influential and important and wonderful presentations and routines in all of close-up magic." Two behind-the-scenes, candid, and thought-provoking interviews with Don. A remarkable collection of Trevor Lewis' professional children's magic and comedy, TREVOR LEWIS UNCUT: THE COMPLETE PARTY PIECES, contains an incredible eighty-five routines. This material is perfect for schools, libraries, and parties. Each routine is carefully worked out for the most effective presentation. You will learn how to create laughs at the right places, include educational points at strategic moments, and bring each effect to the most amazing and satisfying conclusion. In short, this is magic which delights, educates, and amazes children. Starting in 1978 and continuing for over twenty years, Trevor Lewis released his unique brand of kid-show magic in a series of books which included Party Pieces, More Party Pieces, Still More Party Pieces, Further Party Pieces, Favourite Party Pieces, and Final Party Pieces. This volume contains the complete contents of all of his books, plus new material�Unexpected Party Pieces�previously unpublished. The unique wit and style of Trevor Lewis is sure to strike your funny bone, and win laughter and applause from your own children's and family audiences. The Flowering Bouquet � The Telescope � Take Care � Happy Birthday � The Road Code � Happy Birthday Blind � Tommy's Teeth � Cards Across � Cheers! � The Breakaway Wand � George Blake's The Silver Sceptre � The Safe � T.I.P.S. � The Flashlight � Wandering Wand � Magic Painting � Silks from Newspaper � Road Safety Chicken � The Cuckoo Clock � Ditching the Flap � Production with a Message � Twentieth Century Minus � The Flower Pot � Missmade Flag � Cards Across Again � The Magic Umbrella � TV Start � Opening the Show � Abracadabra Rope Opening � Before Cards Across � After Cards Across � Pump Wands � Close Up for Children � Tantalizing Traffic Lights � Beacon Ball � Magic Lesson on Road Safety � Sunday Egg � How to End on Applause � Floppy Flower Opener � Little Wonder Box � The Balloon Routine Competition � Another Mix-Up � The Black Cat � The Clatter Box Camera � Time Will Tell � The Tumbling Blocks � The Pop-Away Wand � Take Care � Children?s Chop Cup � That's Torn It � Up Your Sleeve � The Rainbow Silk Routine � Cane Opener � Kid Glove � The Cotton Wool Necklace � The Adder � Cards Across Conclusion � The Broken Window � It's Curtains! � Freezer Fun � The Beads of Prussia � Mis-Made Traffic Lights � Cigarette Regret � Lesson in Magic � Six Oblivious Students � The Magic Wand Banner � Wand-erful Tubes � The Miser's Dream � Fez Egg Bag � Trevor's Torch (Flashlight Fun) � Balloon Business � Honk-Honk � Silly Billy � Wistful Wand � Put Some Life Into Your Die Box � Rabbit Wand Routine � Just in Case � The Magic Bag � The Christmas Box � It's on the Slate � The Magic Lesson � A Helping Hand � Block Buster � Christmas Tree Routine � The Firework Trick � Golden Girl � Road Safety Puzzle. Its eight volumes detail (with crystal clear illustrations) the fundaments of each branch of the magical art - from mentalism and coin magic, to stage illusions and card tricks. Chapters on magic history, publicity, and stage deportment round out the Tarbell course, making it much more than a series of books about tricks. Harlan Tarbell created a masterwork with his Course in Magic. His forethought shines through today as his books continue to be best sellers around the world. Don't overlook these books. They are the essential building blocks of any serious magical entertainer or enthusiast's education. Dr Tarbell was a genius in creating, solving & demonstrating mysteries. The things you know cannot be done - Dr Tarbell did! He made mystery not only an art but a science. He puzzled the magician as well as the layman! These are probably the best books on Magic & Illusion ever produced! From Aldo Colombini comes this great collection of card stunners- all impromptu and designed to pack the maximum amount of magical punch with the least amount of sleight of hand skill on your part. You will be astounding your audience with these effect just as if you had invested years in learning difficult sleights...but without all that trouble. This amazing compilation includes contributions from dozens of the best thinkers in magic. Book is 8 1/2" X 11" and has 125 pages of Instruction and Illustration. Cut Yourself In Half! Anywhere at Anytime! Surrounded by Spectators! Andrew Mayne's Pocket Sawing In Half booklet contains 6 different ways to apparently perform the classic sawing in half illusion....on yourself! Two of the routines can even be performed surrounded by spectators. The complete 12 page manuscript includes 35 photographs and will teach you how to build the gimmick in less than 5 minutes. Borrow two bills of different denominations, say a One and a Five, or a Ten , or a Twenty, or a Fifty, or a Hundred! Each bill is folded into eighths. The bills are held together and placed in a spectator's hand, which closes around them. The performer reaches into the spectator's closed fist and removes the One Dollar bill. The bill is waved in the air and suddenly changes into the other borrowed bill. The spectator is directed to open her hand only to discover that she has the One Dollar bill! The bills have magically switched places!! * Both bills are borrowed. * Begin and End totally clean! Illusion: wrong interpretation of sensorial information. Humans have 5 senses: sight, hearing, touch, smell, and ...taste. Do you know a lot of tricks playing on the taste buds of the spectators? That�s what you�ll be able to do with HypnoCup. The magician shows the inside of a fast-food paper cup filled with cola and ice cubes. He closes the paper cup with the lid and the spectator drinks from the paper cup with a straw. "Sure, that tastes like cola." After a brief demonstration of hypnosis, the spectator drinks again from the same straw and in the same paper cup: Surprise! The drink now tastes like water! The magician opens the paper cup and pours the contents into a glass revealing that the paper cup is still filled with cola and ice! Prop cup is easy to make. The same gimmicked paper cup can be used several times. Richly illustrated 16 page booklet. How can one simple object be all these things and more? That is, perhaps, the central mystery of the egg. But with al these things going for it, the egg is a perfect prop for the magician, and magicians have been using it for centuries. So why has it taken so long for a comprehensive collection on magic with eggs to appear? That is still another mystery of the egg. The egg is a prop that "packs small, plays big" and suits itself to all venues: close-up, platform and stage. The Encyclopedia of Egg Magic covers it all, with extensive chapters on: Natural Eggs, Imitation Eggs, Fekes & Gmmicks, Productions, Vanishes, Balancing Feats, The Egg Bag, Transpositions, Animations, Transformations, Miscellaneous Effects and Routines. This book features 15 complete routines of magic and comedy, guaranteed to get great audience reactions. You'll read Sammy Smith's complete patter, word-for-word, from start to finish for each effect. You'll learn how to say the patter -- when to pause and what tone of voice to use -- to get the best response. Of course, you'll want to adapt these routines to fit your own personality, but learning from the author's more than 20 years' experience in entertaining children will save you valuable time and give you crucial information on how to get big laughs from little people. Routines range from original effects to new presentations of classics. You'll read Sammy's handling of time-tested classics such as Cut and Restored Rope, Multiplying Billiard Balls, and Miser's Dream. And you'll find his original effects such as Headband Blendo, all updated from the first edition of Big Laughs for Little People with the latest improvements for the 21st century! In addition to the kid-show routines, Sammy shares his best tips and advice for entertaining children, learned from literally thousands of performances. 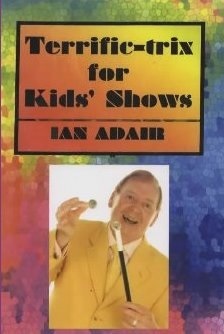 This is a textbook on entertaining children with comedy and magic which every kid-show performer should own and use. The comments which a prominent children's performer made about the original edition of this book are even more valid with this newly revised and updated edition. 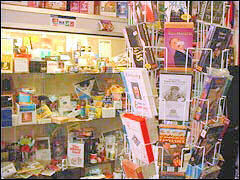 Fantasio's innovative magical inventions have been used for decades now by many of the world's most famous magicians. Now, for the first time, the genius behind the magic explains everything about his brilliant creations in My Canes and Candles. In this beautiful, fully-illustrated volume, you'll learn everything you ever needed to know about Fantasio's appearing and vanishing canes, candles and wands: their care and maintenance, complete effects and routines, and innovative ideas that could only have been thought of by their inventor. The Fantasio Canes and Candles � The Appearing Cane � Tricks with the Appearing Cane � The Vanishing Cane �Tricks with the Vanishing Cane � The Vanishing Wand � Tricks with the Vanishing Wand � The Vanishing Candle � Tricks with the Vanishing Candle � The Appearing Candle � Tricks with the Appearing Candle � Cane and Candle Combinations � More With Canes � More With Candles � Canes and Candles Encore � Canes and Candles to Bouquets � Tricks with Feather Bouquets � and more! There are ideas here for all magicians, even for those who don't perform manipulative magic. What's more, this is the very first time that all of this information has been collected in one volume, making it an instant classic and a must-have for every magician's library. "Fantasio, you are one of my true 'inspirators.' "
"Fantasio, thank you for what you have done for magic." "Fantasio, you levitated the stature of magic to an elegant art form." "Fantasio, you are a very talented magician. My sincere thanks for your many fine contributions to our art of magic." "Fantastic is the word for Fantasio." Hardcover, 8.5 x 11, 136 pages, Illustrated, Dozens of Photographs and Full-Color Dust Jacket! * Plus many, many, more! PLUS Dozens more ingenious new effects and how to make your own twisted pens and spoons - the ultimate giveaways! 122 pages with detailed routines & beautiful illustrations in full colour throughout the book. A first for Illusion Books. The price also includes full performance rights! This is an absolute must for any Modern Illusionist. Its eight volumes (with crystal clear illustrations) detail the fundaments of each branch of the magical art - from mentalism and coin magic, to stage illusions and card tricks. Chapters on magic history, publicity, and stage deportment round out the Tarbell course, making it much more than a series of books about tricks.